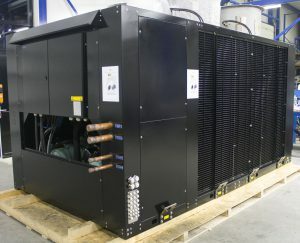 Condensers and Drycoolers | Dutch Thermal Engineering n.v.
For optimal cooling and maximum energy savings DTE delivers condensers and drycoolers. 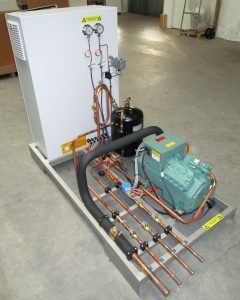 This cooling system will always try to cool by using a drycooler with outside air; only in situations where the outside temperature is too high it will automatically switch to compressor cooling. 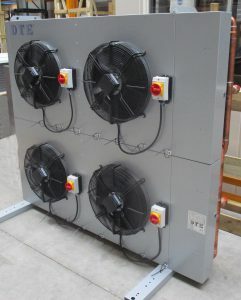 Our condensers and drycoolers are perfectly suited for cooling systems with cooling water temperatures above 18°C. For example for cooling injection moulding machines, extrusion lines, oil cooling etc. Ask the DTE advisers what the most efficient solution is for your situation, they will be happy to make you an offer with an example demonstrating the possible savings so you can make your choice based on relevant information.